. Maybe you’re now preparing your campaigns to be eligible for enhanced sitelinks, which offer an even bigger boost. Our existing policy has required each sitelink in a campaign to link to a different landing page. That means a user would have a meaningfully different experience on the landing page from each sitelink. Recently, though, we've noticed an increase in the number of sitelinks created with the same landing page URLs or identical content. So starting today, we are beginning more proactive enforcement of our policy. To increase the chances of having more sitelinks shown with your ads, we recommend loading 6-10 unique sitelinks into your campaigns. Having fewer eligible sitelinks could keep your ad from showing in larger 2-line and 3-line formats, where more eligible sitelinks are required. 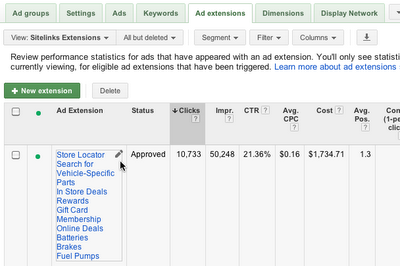 Remember, larger formats are more visible and have higher average clickthrough rates (CTR). And if you don’t have enough eligible sitelinks in your campaign, then your ads may not display sitelinks at all. We suggest doing a basic sweep, starting with campaigns that show sitelinks most often. These are probably your campaigns with branded keywords, like the name of your business and its best-known products and services. 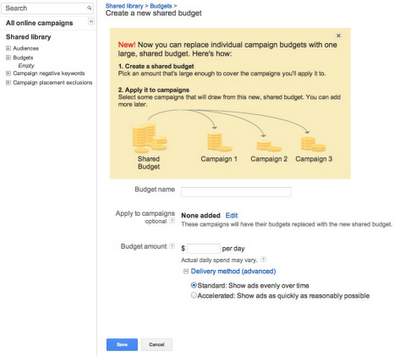 Here’s how you can work through this using the AdWords interface. Select “Sitelinks Extensions” from the View drop-down menu. Sitelinks give users a choice of destinations on your website that they can visit directly from your text ads. Hopefully you’ve already been using sitelinks to improve your campaign performance. Maybe you’re now preparing your campaigns to be eligible for enhanced sitelinks, which offer an even bigger boost. kicks off in early October, and we hope to see you there. Stop by Learn with Google’s in-conference event on Wednesday, October 3; we'll have speakers across Google Search, the Google Display Network, and DoubleClick Search, with question and answer sessions following each presentation. Come hear how Google can help make the web work for you! Evolving Paid Search (10:45am - 11:45am): In our opening session, Head of Search Ads Marketing Mark Martel will be sharing Google’s perspective on the direction of paid search, and what search marketers will need to be doing in the coming years to stay on the cutting edge and capture the greatest share of opportunity. Richer Tools for Targeting: Search and Display (1:30pm – 2:30pm): Elliot Nix, Head of Media Solutions, Technology, will share how remarketing can help you extend beyond your normal search, and help refine your messaging plus boost relevance for customers and potential customers – wherever they’re browsing – to see even higher returns. DoubleClick Search: The power of platform for the next step in search marketing management (3:30pm – 4:30pm): Sr. Product Manager Anthony Chavez will dive deep into how DoubleClick Search helps marketers and agencies running some of the world's largest search campaigns more efficiently and effectively with DoubleClick Search’s campaign management, reporting, and optimization tools. Winning the moments that matter with local, social and mobile strategies (5:00pm – 6:00pm): Close the day with heavy snacks, drinks, and a presentation with Tim Reis, Head of Mobile & Social Solutions, who will cover how you can reach users in the moments that matter with effective social, mobile and local solutions from Google AdWords. The full SMX East agenda can be found here. Still haven’t registered? Enter discount code googleEast12 (case sensitive) and save 10%. Expo passes are free and get you into the Learn with Google in-conference event. SMX East kicks off in early October, and we hope to see you there. Stop by Learn with Google’s in-conference event on Wednesday, October 3; we'll have speakers across Google Search, the Google Display Network, and DoubleClick Search, with question and answer sessions following each presentation. Come hear how Google can help make the web work for you! In the past 10 years the number and variety of new technologies in display advertising have more than doubled, effectively creating new - and better - ways to buy display across the web. With this influx of new display targeting technologies available to advertisers (contextual, remarketing, demographics, interest categories to name a few), our clients often wonder which targeting method performs better: audience or contextual advertising? We've said in the past that the combination of audience and contextual buying work better together, and now we have some new insight into how advertisers are thinking about these tools. We worked with Forrester Consulting and surveyed 150 interactive marketers to evaluate their perceptions on the effectiveness of combining audience & contextual targeting with respect to display buying. The findings from the new whitepaper, Display Media Buyers Value Audience in Context, will be presented today (10AMPT/1PMET) during a special joint Learn with Google webinar featuring Forrester’s Joanna O’Connell and Google’s Woojin Kim. Register here! Audience targeting has become the norm in display buying: The majority of marketers se bullish on audience targeting, and few see it as overhyped. Most marketers plan on maintaining increasing spend on combined audience & contextual targeting. Interested in learning more? Download the whitepaper on Think Insights with Google and tune in to the webinar today! , it’s open to everyone! how our systems and policies stop unwanted ads from showing on Google and elsewhere. One part of these efforts is our constant review of our policies for advertisers, to make sure they keep up with evolving practices on the web that can harm users’ experiences. We regularly update our AdWords policies, clarify what they mean, and step up their enforcement where needed to ensure the best experience for our users and business partners. This year, we’ve already rolled out more than 30 updates to our policies, and today we’re updating our AdWords policies on Software Principles, Arbitrage, Advertiser Claims, and Relevance, Clarity and Accuracy. We’re announcing these updates now to enable advertisers to review their accounts and ensure that they’re in compliance; they’ll come into effect on October 15. We've added several specific examples of the kinds of advertiser behavior typically associated with arbitrage (sites that are designed solely or predominantly to show ads). We've made it even clearer how advertisers must be fully transparent in their ads when describing the experiences on their landing pages. We've beefed up our rules about the use of keyword insertion in ads. We've reworked our AdWords policy governing Software Principles to ensure that users are given important information before downloading software on their computers and that the software is not harmful or hard-to-uninstall. We're also starting to make updates for various AdSense partners who have individual agreements. The web and its ecosystem of advertisers, publishers, and users continue to evolve rapidly. Over time, practices develop that can lead to a negative experience for users. In addition, some actors become more sophisticated in their ability to defeat the intent of our policies. Today’s changes make the guidance clearer for everyone and tighten the rules and enforcement needed to keep the online advertising ecosystem clear, consistent, and useful for consumers. The bottom line is that these revised policies and increased enforcement will help provide everyone with a safer, more trustworthy experience online. Recently, we’ve been explaining how our systems and policies stop unwanted ads from showing on Google and elsewhere. One part of these efforts is our constant review of our policies for advertisers, to make sure they keep up with evolving practices on the web that can harm users’ experiences. We’ve recently been writing about our efforts to stop unwanted ads. The overwhelming majority of our advertisers never serve an ad that violates our policies and terms. But occasionally we see violations, and on very rare occasions, our systems wrongly detect an ad as being in violation of policy. I wanted to explain why this happens and what you can do if it happens to you. Ads help fund businesses across the web, and enable people everywhere to enjoy their favorite services and content, often for free. Yet, bad online advertising practices — like spammy emails, deceptive or misleading ads, and worse — quickly ruin users’ experiences online and discourage people from using the web. As a result, we all have a vested interest in fighting these bad ads with serious firepower. Last year, of the billions of ads submitted to Google we disabled more than 130 million, and reduced the percentage of bad ads by more than 50% compared with the year before. These are big numbers, but we’re doing what’s necessary to deliver a safe, trustworthy experience that meets our highest standards. Occasionally, efforts to stomp out bad ads can result in our systems catching good ads and advertisers in our net. This happens because our defense technologies often look for patterns in what the bad guys do. Similar to the way your credit card company may disapprove a transaction that seems suspicious, if the actions of a good advertiser resemble one of these bad patterns, we’ll likely take action. So, our systems are inevitably over-protective. Last year, of the advertisers against whom we took action, 97% had violated our policies and terms and conditions, and 3% were identified incorrectly. We’re constantly working to improve the accuracy of this effort. While we believe that being overly cautious is the right approach to keep users and partners safe, we know this can be a pain for some good advertisers who inadvertently get caught in the net. Here’s what happens when we believe we’ve identified you as a bad actor and how you can help us straighten things out if we’re wrong. We notify you: If we believe we’ve detected a violation of our policies, we either disapprove your ad, disallow your site from advertising in AdWords, or suspend your AdWords accounts. When we take an action, we will send you an email and send a notification to your account that will provide you customized information about the particular violation(s) we’ve detected, and will include links to AdWords Help Center articles about disapproved ads, suspended sites, or suspended accounts respectively. You can respond directly: If you think we’ve got it wrong, you can resubmit the ad for review. If you believe your site or account has been penalized inadvertently, or you disagree with our assessment, you can appeal via this form. The best responses refer to the relevant part of the AdWords Policy Center and provide as much context in your appeal as you can. We respond as fast as we can - it typically takes us five business days to resolve appeals - each one is reviewed manually by a person in our support teams. With our screening technology running 24/7, there are no days off in the fight against bad online advertising practices. While we do mistakenly catch good advertisers from time to time, and we know this is inconvenient to good advertisers, please also know that we work to rectify mistakes quickly, and that our overall goal is to help businesses grow by creating a useful, trustworthy advertising system that keeps users safe and gives them confidence in the ads they see. scheduled during this time will not run. Daily rules (rules set up to run at a given time every day) will not run from 8:00 am Pacific Time on September 22nd to 8:00 am Pacific Time on September 23rd. If you’re an AdWords Editor user, you’ll be able to make edits offline but won’t be able to upload or download recent changes. We apologize for any inconvenience and appreciate your patience as our engineers work to keep AdWords running smoothly. On Saturday, September 22, some AdWords systems will be unavailable from approximately 10:00 am to 8:00 pm Pacific Time (17:00 Saturday to 03:00 Sunday GMT) due to system maintenance. During this time, your campaigns will continue to run as usual, but you won’t be able to sign into your account or make changes. Please also keep in mind that any automated rules scheduled during this time will not run. Daily rules (rules set up to run at a given time every day) will not run from 8:00 am Pacific Time on September 22nd to 8:00 am Pacific Time on September 23rd. If you’re an AdWords Editor user, you’ll be able to make edits offline but won’t be able to upload or download recent changes. The ad rotates to display all the information when a user clicks on the ad. The user has to click on Download to go to the app download page. enabling you to show ads based on certain demographic categories, like age and gender. Since 2011, we’ve been hard at work making this available to more advertisers. Marketers have been getting great results. For example, Blue Nile used demographics in a campaign to reach potential engagement ring buyers and saw a click through rate of 10x higher than the U.S. national average for online display campaigns. 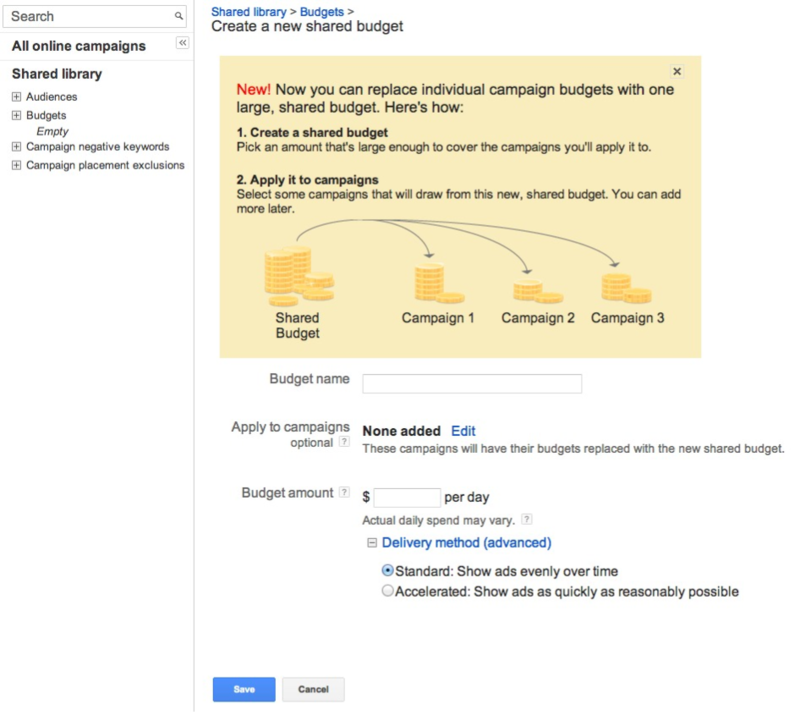 Today, we’re happy to share that this feature is now widely available within AdWords for campaigns targeting 39 countries; if available in your region, it will start to appear in the Display Network Tab as Age and Gender targeting. Marketers have long looked to get a better understanding of the audience make-up of different print and broadcast media to help them better tailor their message and deliver more relevant ads to consumers. This audience insight is equally important in digital advertising, which is why, more than a year ago, we introduced a beta enabling you to show ads based on certain demographic categories, like age and gender. Run more complex scripts - We extended the length of script executions from 5 minutes to 30 minutes, allowing you to make more complex changes. In addition, we’ve expanded the entity limit to 100K. Use real-time data to manage campaigns - We’re adding support for Ad Parameters, which allow you to update numeric values in ads without having to delete and re-enter ad copy or wait for policy checks. Here’s a tutorial showing the use of US Geological Survey data to insert dynamic ad text. Automate scripts with scheduling - You can now schedule scripts to run a single time, daily, weekly, or monthly. To help you get started with AdWords scripts, we’re hosting two training events next week. On Tuesday, September 11th at 11:30am PST / 2:30am EST, we’ll be hosting a Hangout on Air through Google Developers Live, targeted to advertisers with more advanced coding skills. Questions asked via Moderator will be answered at the end of the presentation. Additional resources, including a getting started guide and tutorials, are available at https://developers.google.com/adwords/scripts/. You can also join the AdWords Scripts Forum to get help or share advice on AdWords scripts.
. In addition to helping users identify highly recommended advertisers, seller rating extensions often provide a CTR lift to sellers who consistently deliver a positive online experience. Today, we’re announcing a change to help keep ratings fresh and relevant. Previously, we would show seller rating extensions only for advertisers that have at least 30 lifetime reviews and a 4-star average. Moving forward, we will only show seller rating extensions for advertisers that have at least 30 reviews over the last 12 months and a 4-star average. Since customer opinions about a business can evolve over time, this change will help make seller rating extensions more useful and relevant for searchers. It should also benefit businesses that satisfy customers and garner positive reviews on an ongoing basis. 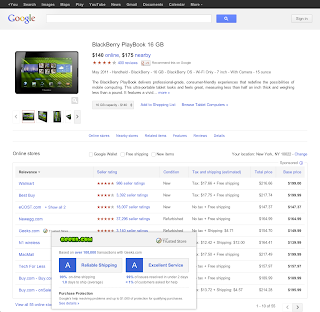 For more information about seller rating extensions, please visit the AdWords Help Center. 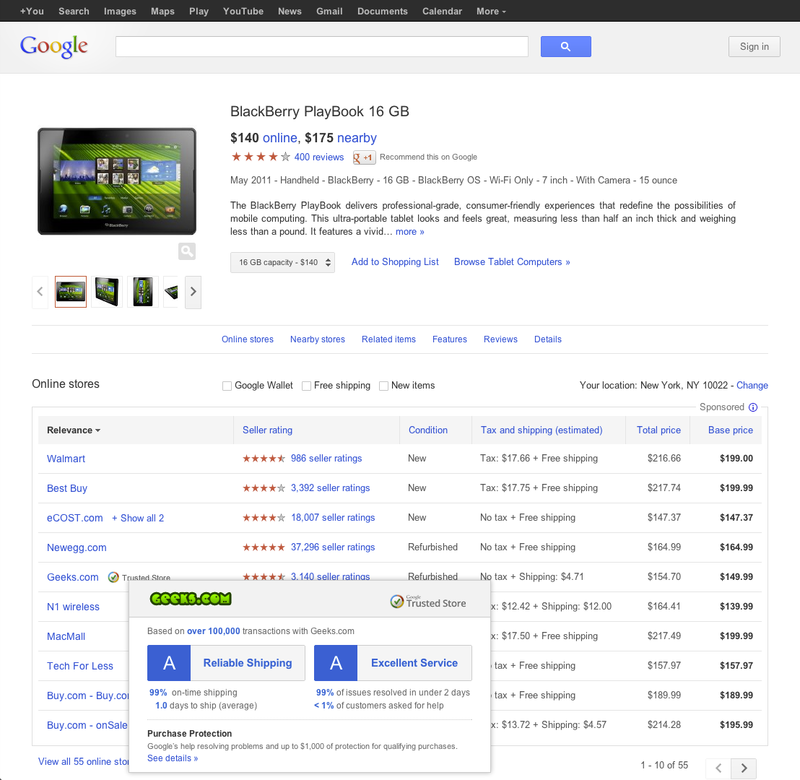 Nearly two years ago we introduced seller rating extensions. In addition to helping users identify highly recommended advertisers, seller rating extensions often provide a CTR lift to sellers who consistently deliver a positive online experience.